A great opportunity to board the Wolfville Magic Winery Bus for a new experience offering you a TASTE of what the full tour is like each year. 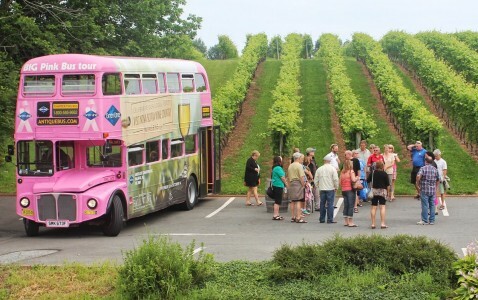 Take a moment to immerse yourself in the rich cultural and culinary connections this place has with Acadiens at The Landscape of Grand Pre View Park, savour the wines that are achieving international acclaim at Domaine de Grand Pre Winery and Gaspereau Vineyards all while in the comfort of a guided, traditional British Double Decker bus. Spectacular scenery from every window, gives you a TASTE of why we love it here!